Life-sized Eromanga Sensei Izumi Sagiri body pillow with HD double-side printing, smooth feeling makes you and Izumi Sagiri more closer. Izumi Sagiri is your best companion when you are on the bed or sofa lonely, come and bring her home now! Izumi Sagiri anime dakimakura would be cure your heart. With 2way Tricot,100% Polyester with good drapability.You can have a sweet dream. 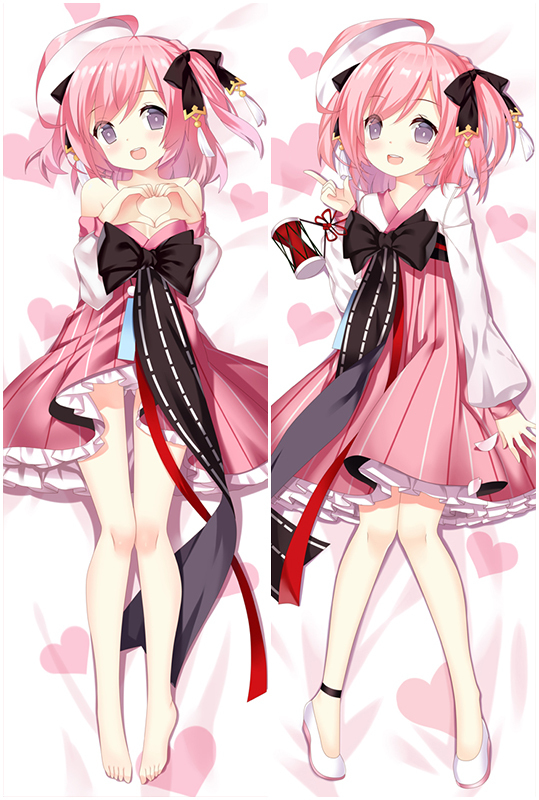 Exquisite dakimakura designed by own artist. Get it now. Imagine a scene that one day when you wake up finding the super Sweet Izumi Sagiri is sleeping next you, what a wonderful morning, isn't it? New Eromanga Sensei Izumi Sagiri Waifu Dakimakura available world wide fast shipping now. With super soft fabric, 100% Polyester with good drapability, It feels so comfortable to sleep next to Izumi Sagiri Hugging body pillow. Most favorable material with high cost performance. Izumi Sagiri anime dakimakura would cure your heart. With 2way Tricot,100% Polyester with good durability.You can have a sweet dream. Exquisite dakimakura designed by own artist. Get it now. She is one of the best designs that I have ever seen!100% Polyester Eromanga Sensei Izumi Sagiri Waifu Pillow with good durability.Indulge your appetite for pose and trendy Izumi Sagiri hugging Body Pillow.With Izumi Sagiri Dakimakura that combine super soft fabric and Double-side HD printing.Take Izumi Sagiri home now! 100% Polyester Eromanga Sensei Izumi Sagiri Waifu Pillow with good drapability.Indulge your appetite for pose and trendy Izumi Sagiri hugging Body Pillow.With Izumi Sagiri Dakimakura that combine super soft fabric and Double-side HD printing.Take Izumi Sagiri home now! New Eromanga Sensei Izumi Sagiri Waifu Dakimakura body pillow cover FOR SALE USD 42.99 Adopted the finest pillow-friendly cover with HD printing. See Photos! HIGHER QUALITY IMAGES ON PATREON. Money Back Guarantee. New Izumi Sagiri Eromanga Sensei Waifu Dakimakura available world wide fast shipping now. With super soft fabric, 100% Polyester with good drapability, It feels so comfortable to sleep next to Sagiri chan Hugging body pillow. Most favorable material with high cost performance.